Kontrast is a live audio / visual electronic music event I created visuals for. Partnering with Nueva Forma Records and the design studio Colorcubic, it was our goal to move away from cramped clubs and into more eclectic and design conscious settings where the artistry of the medium could be better explored and appreciated. Using an array of projectors to form an ultra wide canvas, my animations and graphics were used to create a dynamic relationship between each performer, the environment, and of course the music. 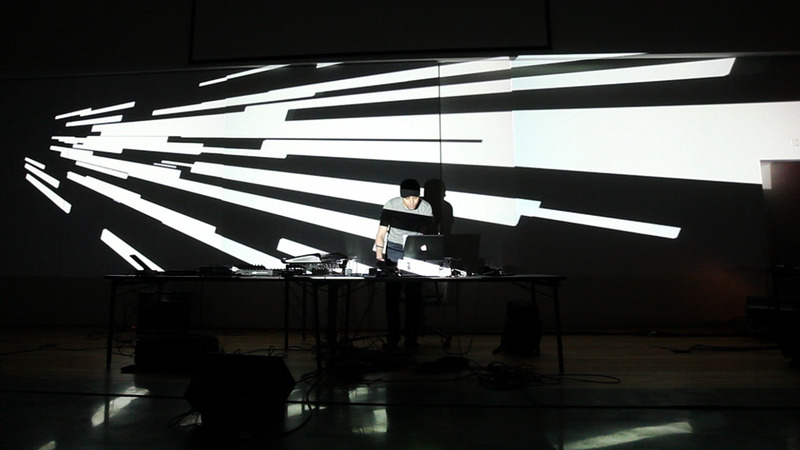 All visuals were edited and manipulated live using customized MIDI controllers and VJ software. The inaugural show was hosted by Ziba Design in Portland, OR and it is our hope to make Kontrast a bi-annual, internationally touring event.